Venture out of the city with trips to Fort Lauderdale (Fort Lauderdale Beach & E Las Olas Blvd). 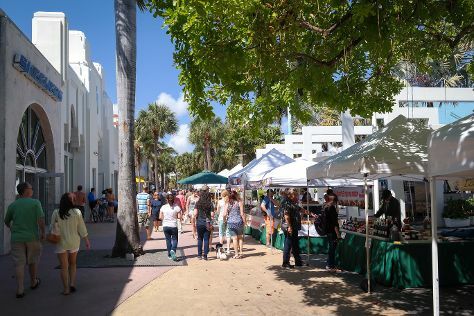 There's lots more to do: appreciate the extensive heritage of Lincoln Road, make a trip to Collins Avenue, enjoy the sand and surf at South Beach, and explore and take pictures at AmericanAirlines Arena. For traveler tips, more things to do, reviews, and tourist information, go to the Miami tour planner. Use the Route module to find suitable travel options from Quebec City, Canada to Miami. Plan for much hotter temperatures traveling from Quebec City in May, with highs in Miami at 36°C and lows at 27°C. Finish up your sightseeing early on the 8th (Mon) so you can travel back home.